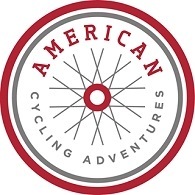 All AmeriCan Cycling Adventures tours, river cruises, expedition cruises, and adventure trips. Find the best guided trips and expert planned vacation and holiday packages. Average rating of 5.0 for all AmeriCan Cycling Adventures trips. See the amazing rocky, rolling hillsides of the oddly named Satan’s Kingdom give way to the beautiful shoreline of Lake Dunmore.